Nobody hates blogs more than journalists. Blogs drive the less digitally-savvy journos and media industry guys crazy (and not just because we are helping to put them out of work). They gripe about bloggers having no accountability, no transparency. There is no tough editor peering over the blogger's shoulder and demanding they back up the claim they make in the second paragraph, no sub dutifully fact-checking their copy, no time-honoured professional code of conduct preventing them from writing good things about their mates or slating the work of people they don't like. And what exactly are the blogger's credentials? This is what really rankles: Bloggers haven't been carefully selected for their role as critic or commentator by a respected news organisation, required to demonstrate writing prowess and reporting nous. They haven't stubbornly worked their way up the ladder in profession that, while incredibly competitive and often grueling, pays poorly. In short, they've jumped the queue. They're not professionals, they're bloody amateurs. And people are listening to them! I've been both a newspaper journalist and a blogger, and have been thinking a lot lately about the overlapping ground between these roles, and the antagonism and competition that exists between the two camps in what is shaping up to be the golden age of citizen journalism. Down south, the arrival of theblogpaper has attracted attention. Closer to home, I'm meeting up with some folks tonight to discuss an aggregator project for Manchester bloggers that I suspect will share some of the aims of theblogpaper. It's early days and I'm not sure what will come of it, but it's encouraging that people are interested. I've been beating the "we need an aggregator" drum since the original Manchester Aggregator, a one-man volunteer operation, died a few years back (and in case you've never met an aggregator before, it's a website that pulls in the posts of multiple bloggers via feeds and publishes them in one place). 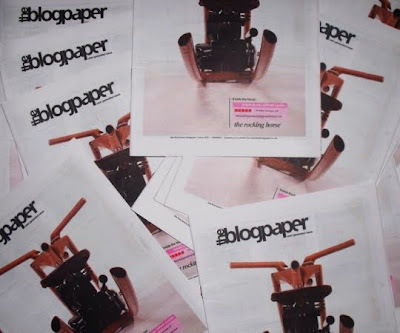 The all-lowercase name evokes the recently departed thelondonpaper and gives notice of the venture's designs on the freesheet market, but on this front theblogpaper is guilty of putting out mixed messages. They say "we aim to combine two different yet equally important types of media: internet and print." Yet they "promote contents to print" by voting; the top rated stories get published in a London paper edition. What's with the inferiority complex? These days, putting online content into print is more of a demotion than a promotion (and I say this as someone who will let you take away my morning newspaper when you tear it out of my cold, dead hands). If you're interested there's some more background info on theblogpaper here. I'm not sure if it will succeed or not. The main problem is content: I think there is some truth to the assessment this t5m blogger makes of it (though as a competitor his views should possibly be taken with a few grains of salt). And there are some things I don't understand about their model. Why do they require contributors to submit articles rather than automatically pulling registered bloggers' posts from their sites aggregator-style? Having to submit articles places more of a burden on participating bloggers, and the site already asks a lot of their community as they need people to vote on what articles to "promote". I understand the model's allure as it is both democratic and time saving. The readers are the selectors, so you don't need editors. But it's a big gamble - I think any new venture that leans too heavily on user participation via voting and liking is on shaky ground unless they have a gargantuan publicity budget. I see they are selling advertising. Not sure if this will work. It didn't for theblogpaper's predecessor The Printed Blog. In the US big-name blogs command hefty rates. Over here, the only blogs I've seen ads on are the newspaper blogs and the blogs of Gawker's UK copycat Shiny Media, and they certainly haven't found a model that's immune to the problems of the print sector. I like the model where blogs with an established following band together and sell ad space a la The Deck, but I'm not sure local advertisers would go for it, or whether the amount of traffic UK local blogs get (at best, a couple hundred hits a day, I'm guessing) would make this a viable idea, even with the ad display replicated over several blogs. I wish theblogpaper well and will be delighted if it succeeds; it's still in beta phase and hopefully whatever doesn't work will be dealt with soon. But whether it's this project or not, I think it's only a matter of time before something blog-sourced makes a go of it in the UK. Newspapers are in free fall. There is a content vacuum, and bloggers stand ready to fill it. In some cases, you could say they are already filling it. Take Manchester as an example. The content of our daily newspaper, such as it is (sigh) has dwindled in terms of both quality and quantity; they've shrunk pages and offloaded experienced (and incidentally, better-paid) journalists in favor of unpaid and exploited rookie journos. No print mag has gotten very far off the ground since Citylife folded; Time Out looked at coming in and decided it wouldn't be profitable enough, I'm guessing. So on the print side, we've got a handful of well-intentioned zines, one or two property circulars masquerading as "lifestyle magazines", and the fresh-faced new culture and listings magazine that seems to arrive with a bang every six months or so and disappear with a whimper a few months later. I wish one would stick but they keep not sticking. Online, things are buzzier. Manchester's cultural institutions have gone into the content business themselves, setting up their own web magazine (and making a damn fine job of it, says this admittedly very biased contributor) and turning to bloggers to review their exhibitions and plays. In this city, at least, bloggers really are the new press. Manchester Confidential's recent decision to start charging for content in the new year prompted an interesting debate (also here) with some asking "why would people pay for content they can get for free elsewhere?" Attribute. 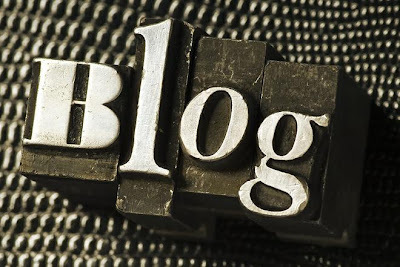 Use links to other blogs/sites generously; credit where credit's due. And fer chrissakes, spell check your posts. Hmm... I have a feeling I may come to regret posting this list. All nitpicking comments taking issue with my grammar, spelling, photo crediting, accuracy or legitimate parentage gratefully received ;) Anyway, I'll keep you lot posted on the MCR aggregator project. If anyone wants to be more actively involved, please get in touch. Blog picture via Tubuans and Dukduks. Interesting stuff, Kate. Good luck with the aggregator (even though I'm not sure what one is, I'll look it up when I get out of work) and if you need anybody to bang the drum for the region's wonderful wildlife you know where I am. Thanks Lester, I have added a little definition of an aggregator as most people reading probably have no idea what one is either. Doh! Any interesting idea. We have been planning on aggregating Manchester Music blogs on Listen To Manchester (http://www.listentomanchester.co.uk). We've had buy in from those bloggers weve chatted to. Very interesting to see what's going on in Manchester and some great rules-of-thumb for bloggers who want to be taken seriously. But we still have a long way to go - only recently did I hear a Radio4 presenter on the Today Programme scoffing at the idea of bloggers as legitimate journalists. Following good journalism practises on your blog will ensure those in traditional media have nothing to laugh about. Coild be worth a chat about the aggregator project-are you at Social Media cafe tomorrow? Interesting, thoughtful, and well set out examination of the issues. I too regret the demise of the old aggregator, and would welcome the arrival of a replacement. Good luck with the project. Thanks for the feedback, guys. Nice to see there's some enthusiasm for the project. Interested to hear about your project, too, Rick - I'll have to check that out. It sounds like a great idea. Nigel, I can't make smc tomorrow because of a scheduling conflict, but it might be one to discuss more widely at a future one if summat comes of tonight's meeting. I think there's lots of potential in an aggregator. Boing Boing supplement their regular contributors with guest writers each fortnight (or month? ), for example. Good luck with the project! Bullet points to tack near my desk, I think. Wondering about your opinion - if you've already been paid (well) for articles, would you take non-paid work in a print environment? I can't decide. Part of me says take it, another says stick to your guns, whilst another bit makes me think that journalism is not-a-sensible-choice and should be deglitzted asap. Katy, I wouldn't tell anyone never work to for free. I certainly have in the past. But I'd say you need to have a damn good reason to. In some situations, writing gratis for an established paper can help people who might be starting off in journalism build up their clip file. If you ask me, this is something to do maybe once or twice, if you really need to, but certainly not more than that. Especially not for a corporate media entity that is selling a lot of ads, etc. There's a fine line between work experience and exploitation, and when good writers work for free it screws all of us by devaluing what we do. Other times, professional writers may decide they want to contribute to a print endeavour that is of the less well-funded variety for free, because they want to support them. That's totally cool - it's up to you. And yes, the bottom line is that journalism is not a sensible choice. But it's fun. When you're not starving. 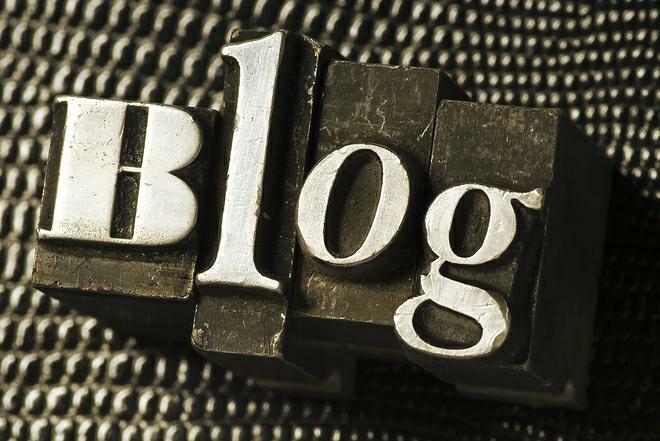 We have started aggregating manchester blogs and rss feeds along with news http://www.mymanchester.org/news. finding blogs just about Mnachester is hard. Finding bloggers from Manchester is much easier. Thanks roifeld, I'll check it out.